Jason Backe and Ted Gibson. We joined celebrity stylist Ted Gibson and celebrity colorist Jason Backe for the launch celebration of their new Los Angeles salon, Starring by Ted Gibson. 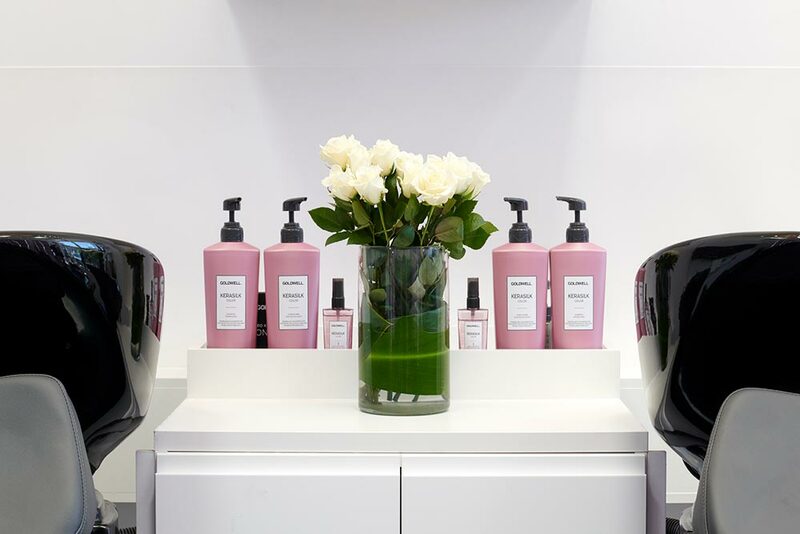 Gibson and Backe are known as the hairstylists behind the gorgeous hair of celebs such as Angelina Jolie, Priyanka Chopra, Anne Hathaway, Sandra Oh, Jessica Chastain, and more! 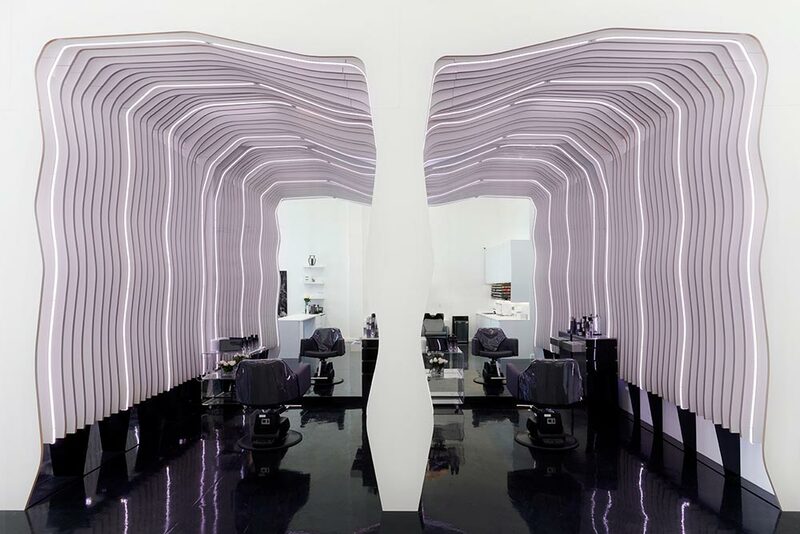 The salon is “LA’s first smart salon” and combines smart home technology with a luxury hair experience. Guests enjoy their services in the “clouds”—pods that feature state-of-the-art Amazon technology. 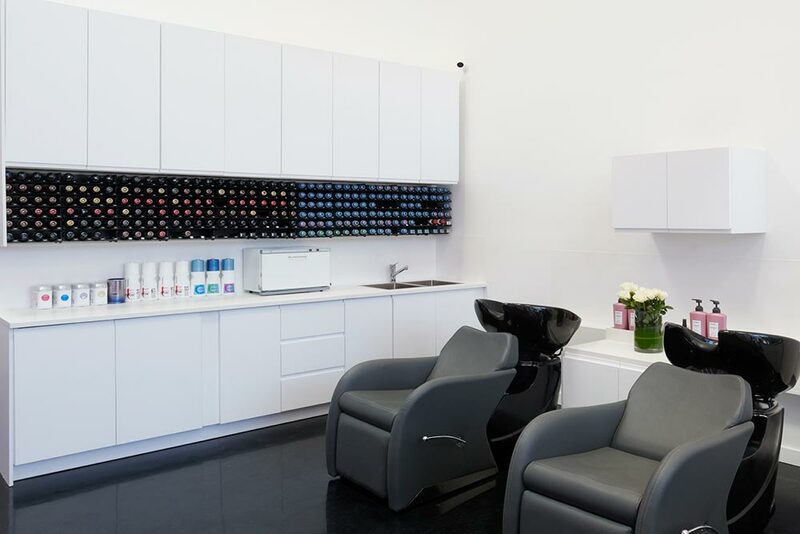 Clouds offer an array of ambient lighting including “Everyday Sunshine,” “Moonlight” and “Indoors,” giving clients the opportunity to see what their hair will look like in different lighting. Each cloud is also equipped with an Amazon Fire Tablet, Amazon Prime Video app, and Sonos speakers. 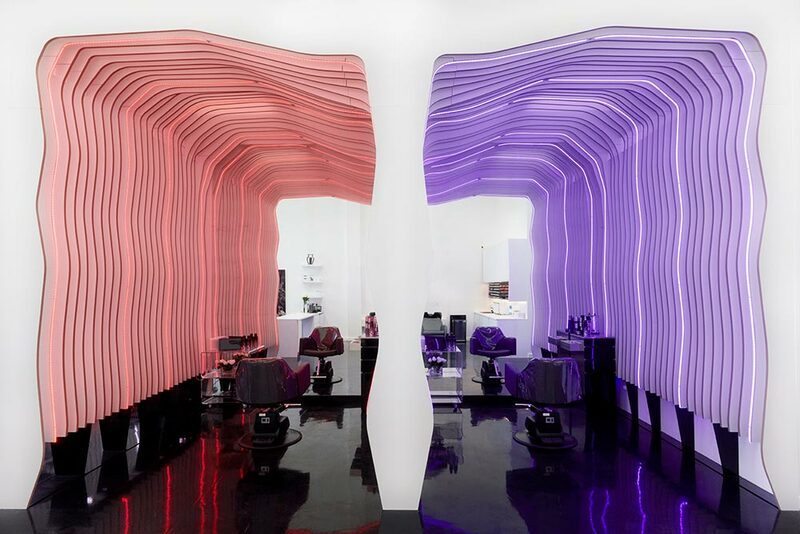 And that’s not all when it comes to cutting edge salon technology—the salon is entirely voice-activated through Amazon Alexa. Take a look at the photos below for a peek at the new salon!